Phal. 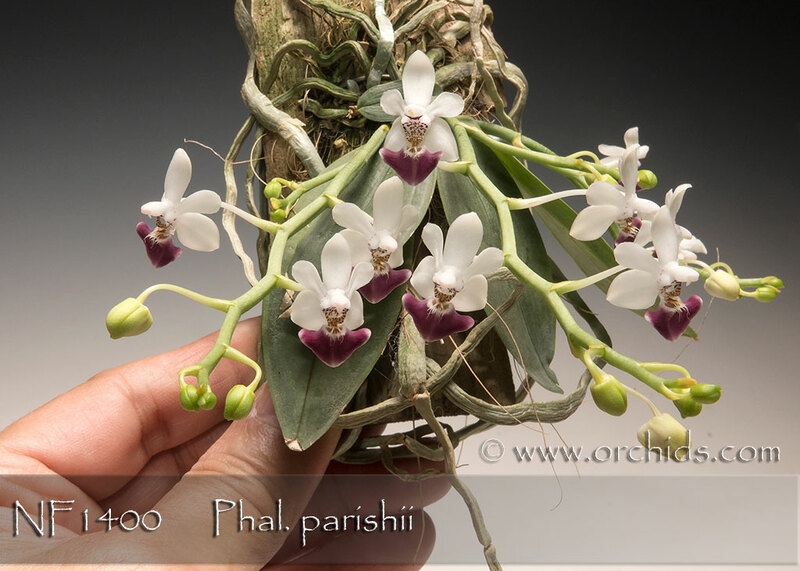 parishii is a charming micro-miniature species endemic to the Eastern Himalayas ! This species is deciduous in its native habitat since it endures a severe dry season during which its leaves fall. In damper niches and in cultivation, it usually retains its broad elliptical 8-9cm leaves. 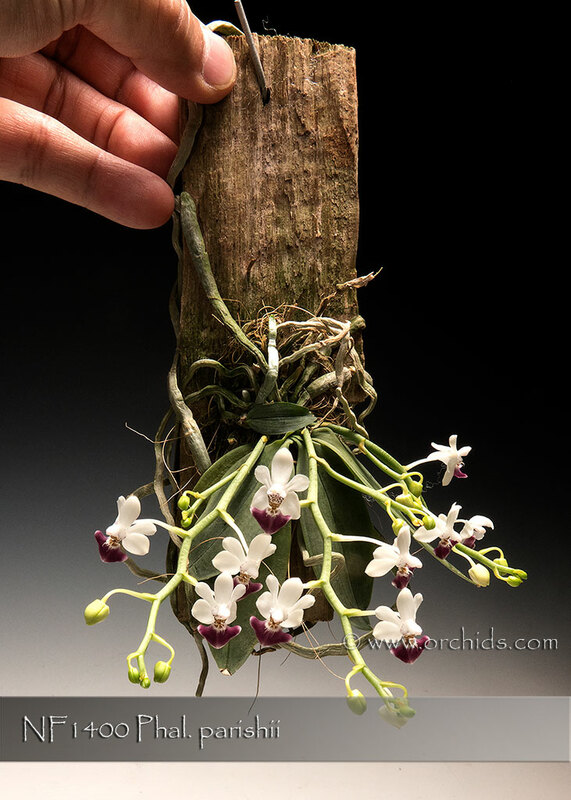 Several inflorescences, about as long as the leaves, appear simultaneously, each bearing 4-6 delicate-looking flowers with a natural spread of about 2 cm. The white sepals and petals flare back like a bird in flight, while the semicircular lip is front and center, either rich burgundy or a nice red in color as been reported by some of our clients. 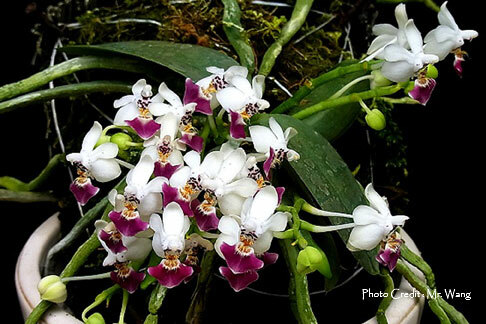 Despite their delicate-looking appearance, its flowers have good substance and show off with a diamond-dusted texture. Highly Recommended !